Okay, maybe we graduate assistants won’t “unwind” in the same sense that Will Smith and DJ Jazzy Jeff meant back in 1991, but a break from papers and projects and readings galore will be nice. It has been an exhausting, overwhelming, productive, and fun academic year. For Casey and I, it was our first year of graduate school. Now we’re half way finished! We learned so much more than we could have ever imagined. From Public History Seminar to Essentials of Museum Management, we gained valuable experience in historiography, writing, and hands-on practical applications, such as creating outdoor exhibit signage, historic trail markers, public programming, and developing a major exhibit for Central Magnet School. We also conducted original research for major term papers. Casey completed her Historical Research Methods paper on transgender law in Tennessee during the 1980s and 1990s, and I discussed the involvement of students from the University of Florida during Gainesville’s Civil Rights Movement in the 1960s and early 1970s for Dr. Bynum’s Civil Rights and Black Power class. This summer–when we are not barbecuing, shopping, and rockin’ out–we will both be participating in internships as required for the Public History master’s degree. Casey has an awesome internship with the Country Music Hall of Fame in Nashville as their Family and Youth Programs intern, and I am incredibly happy to start my internship in the curatorial department at the National Baseball Hall of Fame and Museum in Cooperstown, New York. Evan and Brad finished up their coursework this academic year. They will both be completing their master’s theses this summer and will graduate by the end of 2015. Evan’s thesis is on Lost Cause memorialization at Beauvoir, the Jefferson Davis presidential home. Brad’s thesis focuses on African American funeral homes in Tennessee. We will be very sad to see Evan and Brad depart from MTSU, but we know they are off to do bigger and better things! 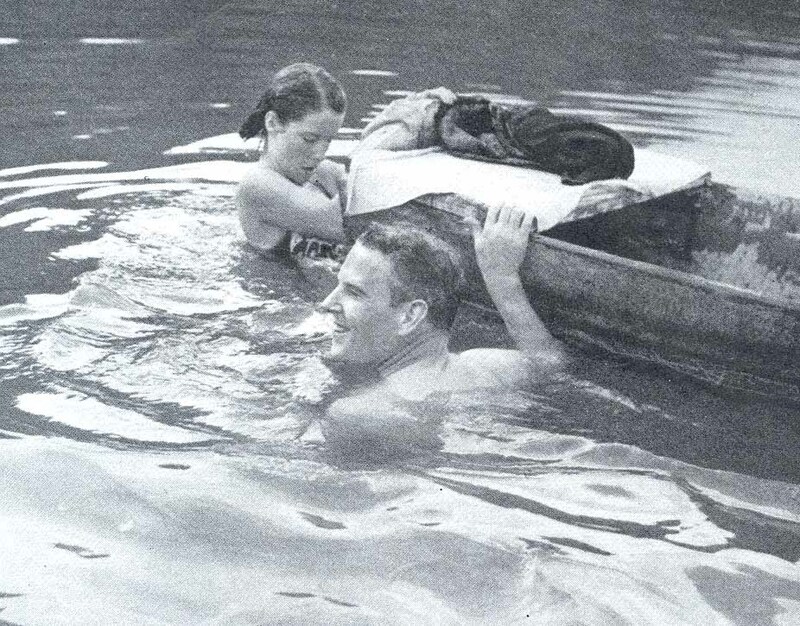 Albert Gore and Nancy Gore swimming and soaking up some sun. Enjoy the summer and sunshine!